Yeah, there's no competition in my mind. Thank you for your input! As a pure pass catcher, Jahoda scored more TDs, but Stone was more consistent AND he was an integral part of special teams. I disagree that there is no competition, but I am putting him ahead. 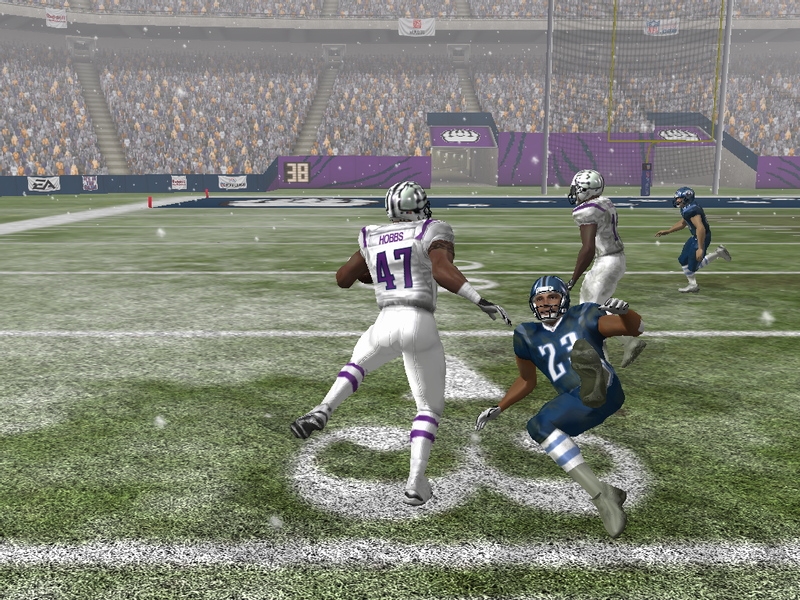 Against the Broncos, the Blizzard ultimately won, but they only distanced themselves in the 4th quarter. In Pittsburgh, Bubba Brady carried the ball a season-high 41 times, but could not make it into the endzone and Anchorage had its lower score in years. Against the Wildcats, Bubba Brady showed he finally mastered Ryan Billups' signature move, and he returned a short punt to the house, using Sheldon Stone's signature celebration. LB Ricky Wayne also showed his concentration skills on this TD reception, one of two in the game (and three in the season). In week 14, Nate Freeman scored twice for the Packers, but Green Bay fell short. The week 16 tilt against the Toronto Argonauts was meant to be a nailbiter, but Sheldon Stone was heavily covered by the Blizzard and was involved only twice. 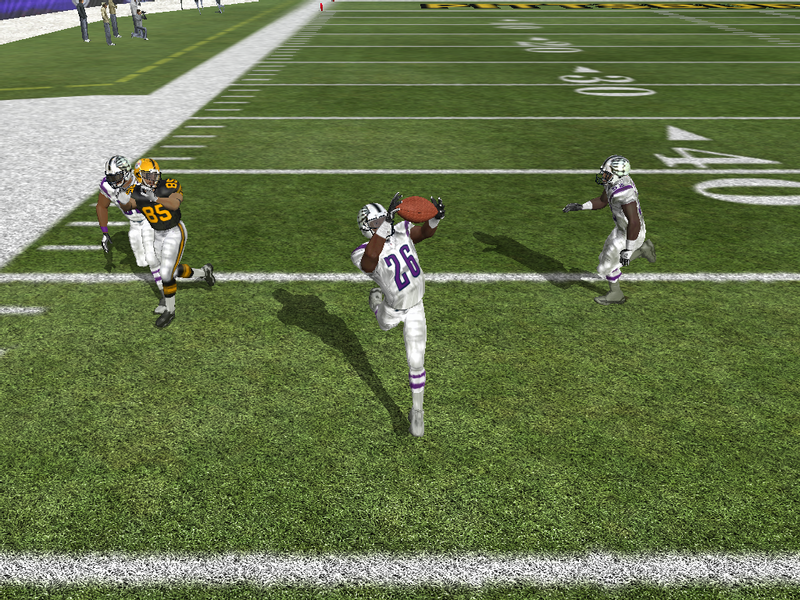 Once on a reverse play that took too long to develop and resulted in a safety (courtesy of CB Marc Tanner), and one pass that was intercepted by Sammy Spikes. Phil Hobbs also scored his first TD in 3 years, back when he was with the Dolphins. With 4 punt return TDs in his last two games, Brady tied Billups' record of 8 punt return TDs in a season. 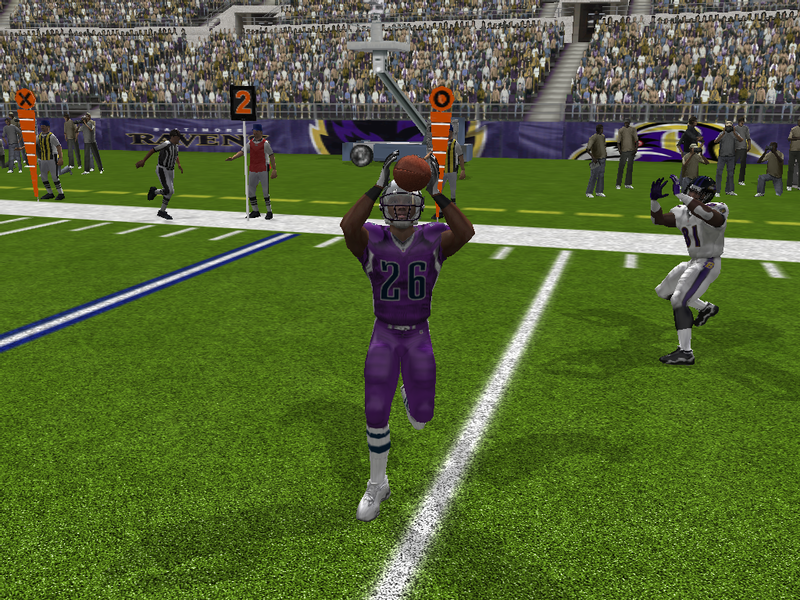 Eric Baker also snatched his 90th career interception and ran it back for the score. 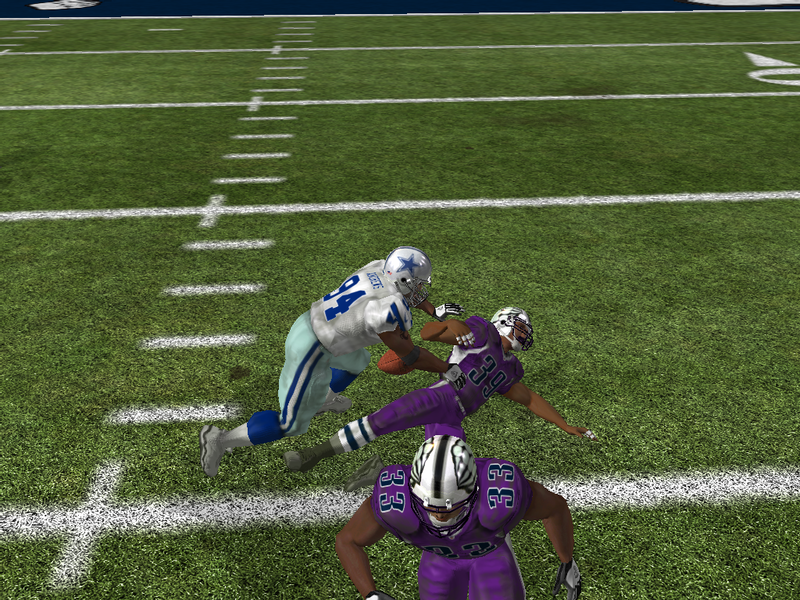 Bubba Brady was the uncontested star on offense and special teams, but LB Ricky Wayne sneaked in to win MVP with his 34 sacks, 5 interceptions and 5 forced fumbles. Hank Newman continued to show that he is a threat in many situations, not just short yardage. And in his first season as a starter, Blake Riddle had a great season at right tackle, amassing as many pancakes as J.J. Maddox. 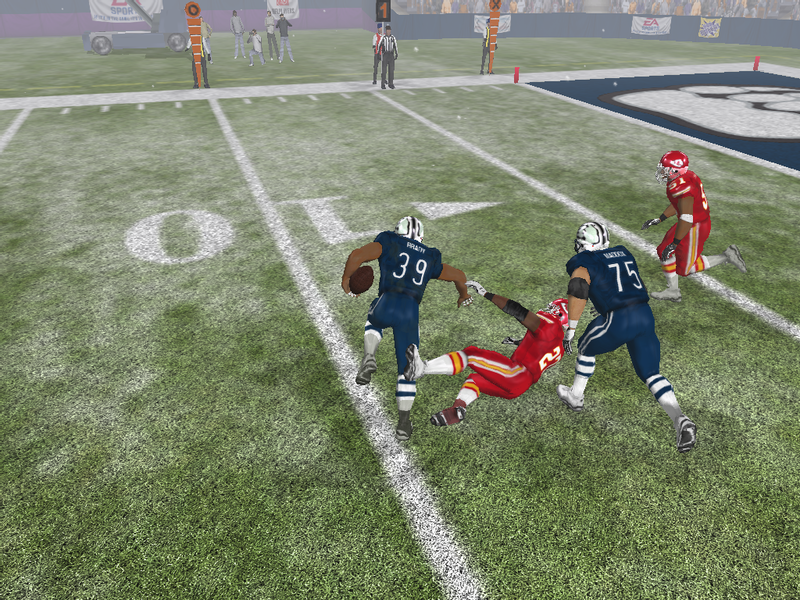 Rookie Cody Heatherington's skills are not quite as high as ancestor Dave, but his combination of speed and strength helped him compile 14 sacks. With the Blizzard having the most fragile undefeated team in recent history, the Chiefs had a real chance of stunning them. They scored first with a safety and stayed close throughout the first quarter, but eventually were bested by Anchorage. The Grudlies were an easier pray, as they quickly fell to 21-0 and never recovered. This set the table for yet another battle against the Cowboys, this time in Nebraska. 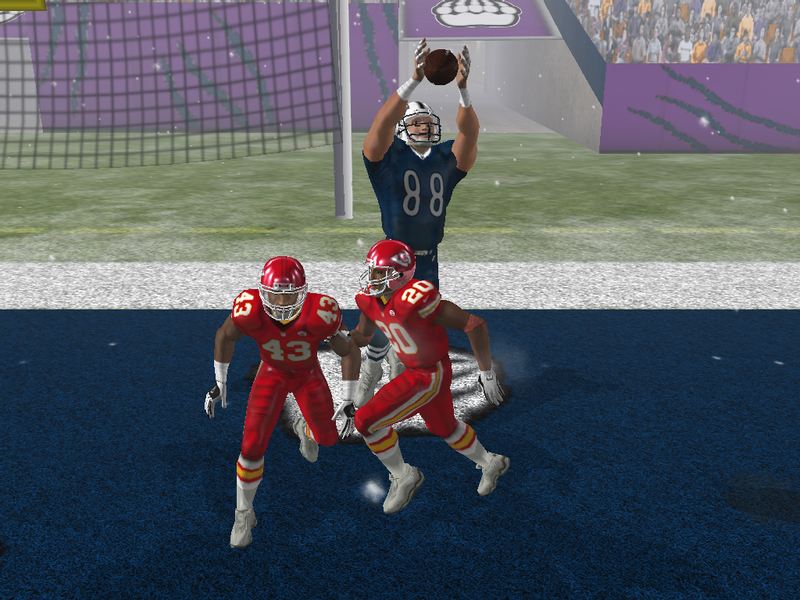 Clayton Truman's connection with Hank Newman was off, as the Blizzard's first drive ended with an endzone interception returned on 102 yards by Cade Perkins. 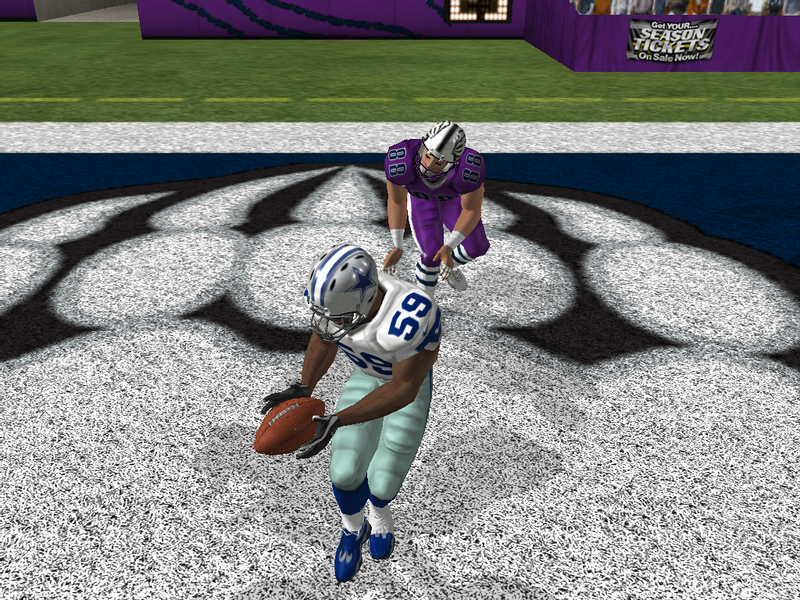 After regaining possession, QB David Marshall connected with veteran WR Travis Lopez on a 64-yard TD. Anchorage marched down the field again, but another miscommunication (and a pass thrown too low) was intercepted by MLB Adrian Layher, who made it a 3-score game. 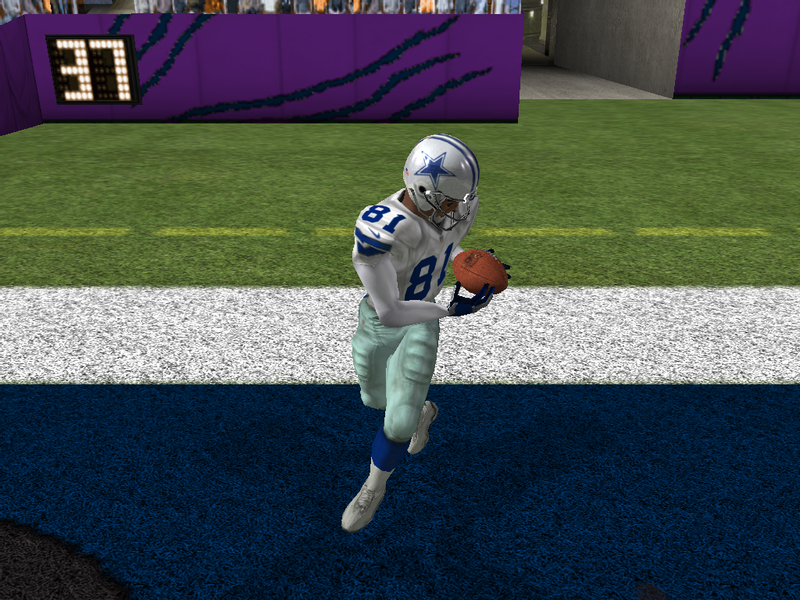 But Dallas would score only a field goal for the remained of the half, and Anchorage would score the next three TDs: TD passes to Anthony Wells and Hank Newman, and an interception return by Marc Tanner. 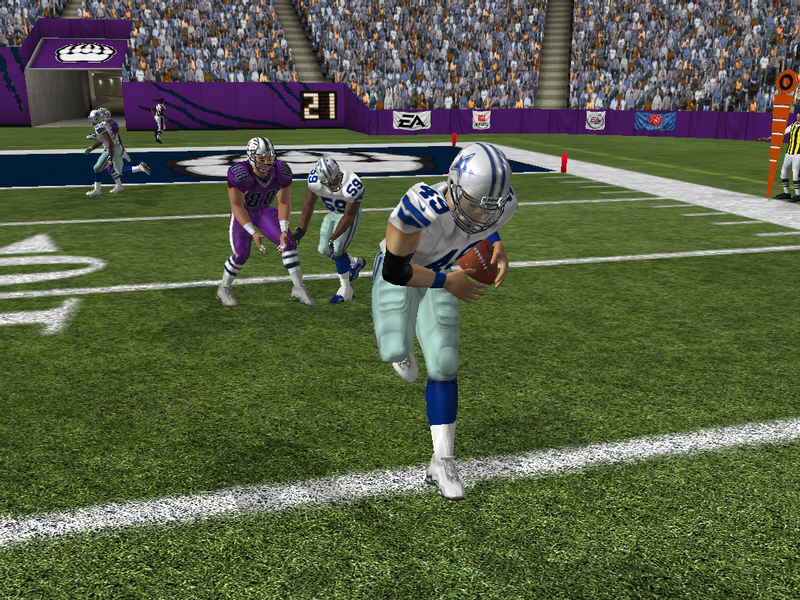 Another field goal late in the 3rd quarter would make it 27-21 Cowboys before the final frame. 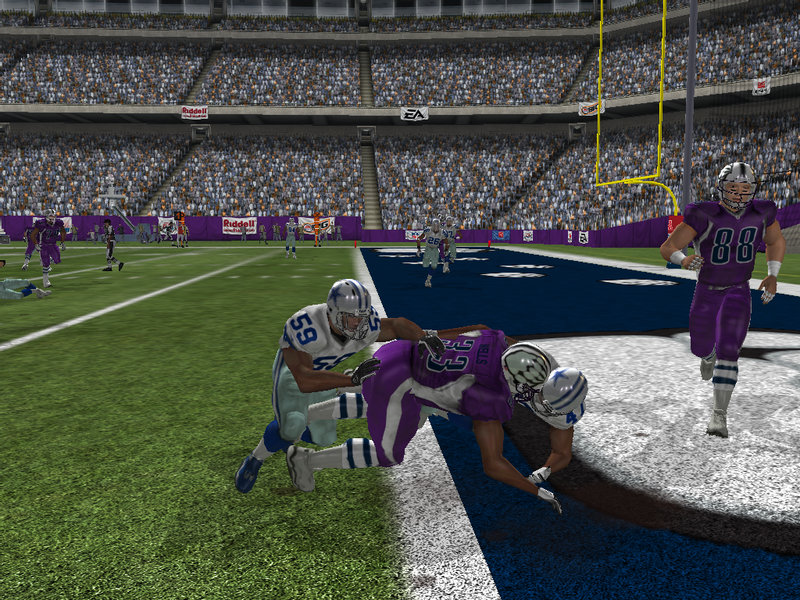 Bubba Brady would try to put his team ahead, but would fumble on this hit by DE Bryan Andrews. 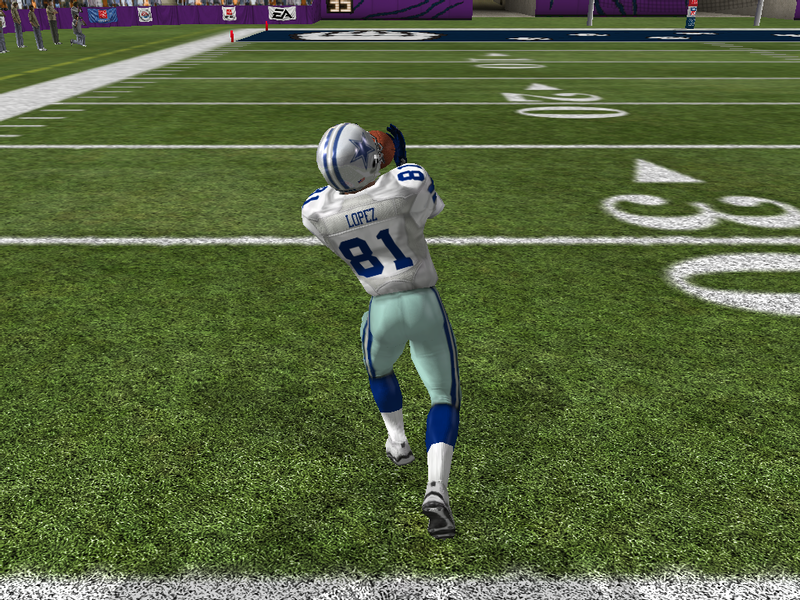 Layher would scoop it up but Dallas would be forced to punt. 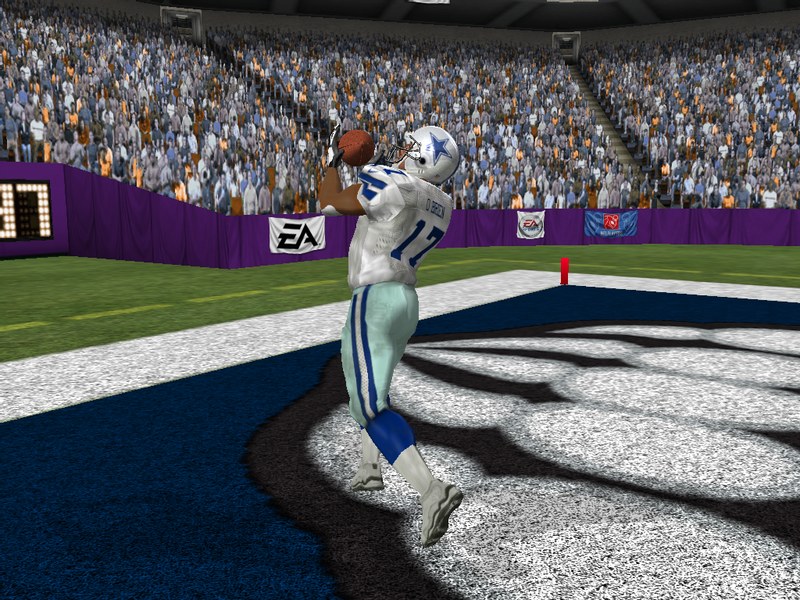 Anchorage would not go anywhere, and Dallas just cemented its victory with TD passes to Lopez and Landon O'Brien. Adrian Layher was named game MVP. Following their loss in the Super Bowl game, the Blizzard made two significant trades. First, they acquired MLB Victor Sanders and a 5th-round pick from the Steelers. Anchorage had to part with promising OLB Marvin Deruiter and a 2nd-round pick (63rd overall). Then, they shipped aging DB Eugene Kocian, DE Phil Curry and G Roger Stevens to the 49ers for the 4th overall pick and backup LB Hugh Edwards. Sanders had been scouted extensively two years ago, but the Steelers picked in with the 15th pick before the Blizzard had a chance. Though he was playing extensively in Pittsburgh, both as MLB2 and on special teams, he was stuck behind Jerry Means on the depth chart. He will have to win playing time in Anchorage though, since Thomas Hixon has been doing a great job. Stevens and Curry will both get the chance to earn starting spots in San Francisco. After releasing aging superstar CB Eric Baker (who was picked up by the Panthers), the team started reloading in free agency, signing QB Andy Sharper, SS Cory Hubbard and K Kenneth Smith. They also switched Charlie Harris from MLB to OLB. 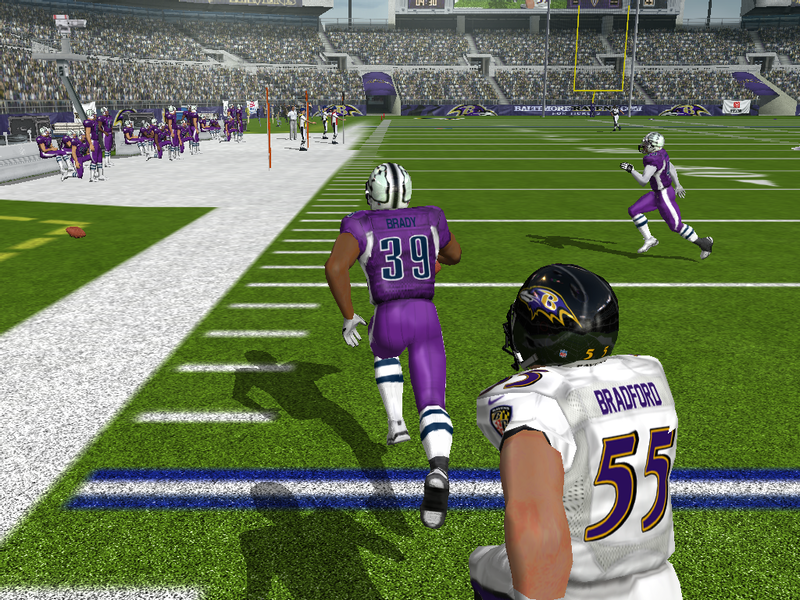 To round up the roster, the Blizzard signed CB Lee Hall and LG Kurtis Barnes, and released longtime K/P Derek Wallick.